The 2015 Laser Atlantic Coast Championship tested competitors both mentally and physically with long courses over shifty winds and current. 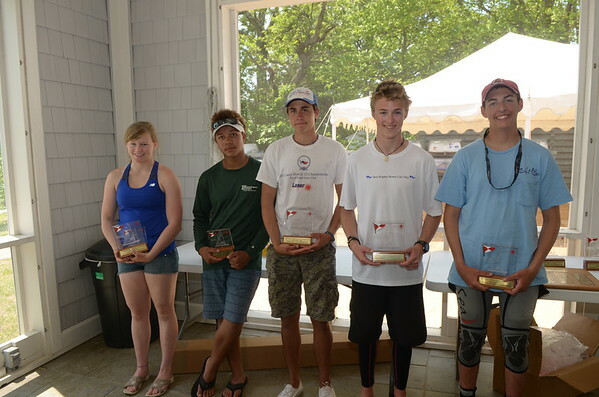 Eric Reitinger (Brant Beach YC) had consistent finishes near the top nabbed him the Standard Championship while Fishing Bay Yacht Club’s Alexander Hanna put up all top 3 finishes to win the Radial division. Saturday’s racing saw the sailors racing out in the Chesapeake Bay where the currents of the Rappahannock River and the Piankatank river all converge. Winds started in the low double digits and the first race had most of the fleet racing for nearly an hour and a half. By the time the standards started the second race- the wind eased, the current built and they sailed a shortened 3 leg race in 5-6 while the radials were postponed at the starting line. By early afternoon the breeze came back for 2 more races. 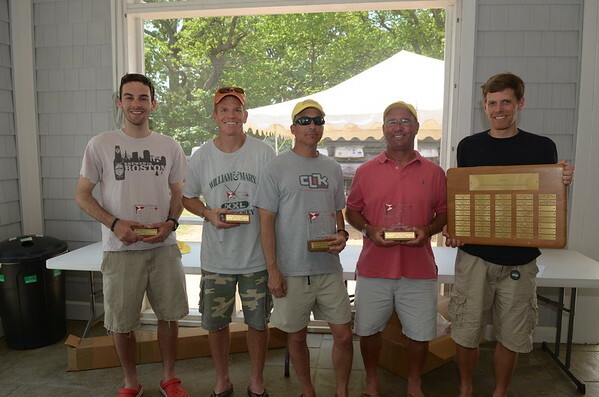 Eric Reitinger, Jon Deutsch (FBYC), Dan Herlihy (FBYC) and John MacCausland (CRYC) all won races in the Standard Fleet. 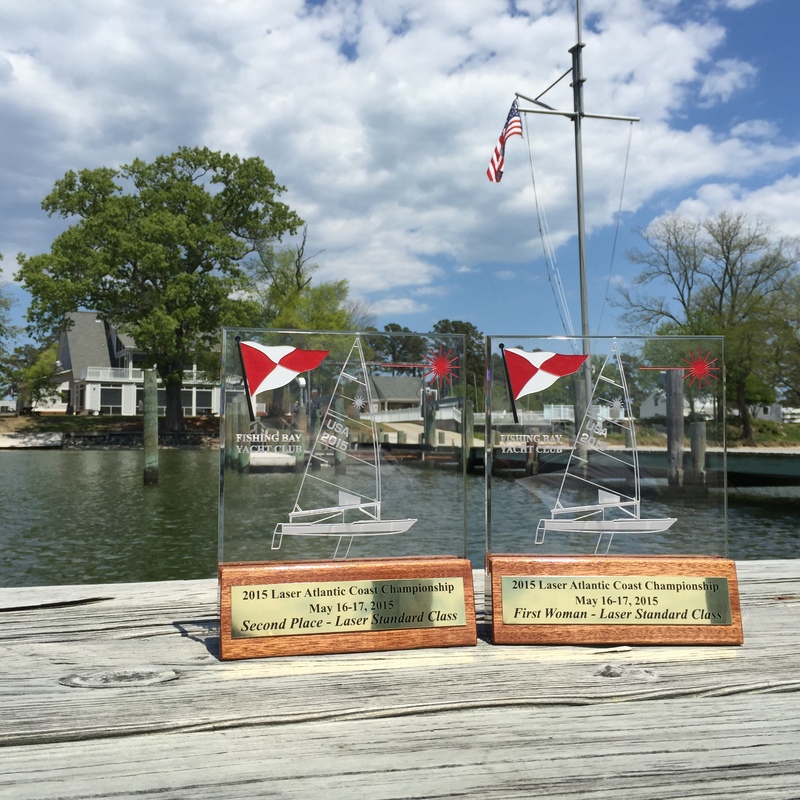 Alexander Hanna and Carrson Pearce won races in the Radial Fleet. The long day on the water was rewarded by an awesome Alain Vincey dinner followed by raffling some APS and Dynamic Dollies gift certificates and merchandise. Sunday’s early start allowed both fleets to get in one more race in a dying breeze. Charlie Brewer (Hampton YC) won that race in the Standard fleet while Gage Wilson (LYC/CYC-NC) won the Radial Fleet. Finishing 2nd in the radial fleet in that race was Boyd Bragg (FBYC) sailing his first ever Laser regatta. Congratulations to all of the winners and thanks to all of those who travelled from near and far to sail with us. Also thanks to Mike Waters, Rick Kline and all of the folks helping run the races and to Brad Squires and Alain Vincey for the breakfast and dinners. The early registration discount for the Laser Atlantic Coast Championship ends at 9pm on Monday – If you are planning on coming – be sure to save some $$ and register by then. 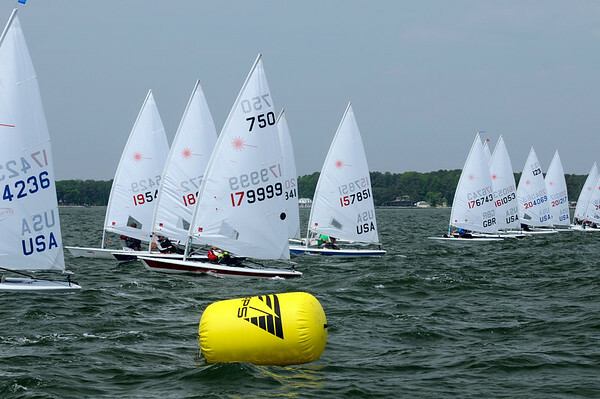 If you are not sure yet – come for what will be the best and biggest Laser regatta on the Chesapeake Bay. With many sailors from New England to Florida and in between planning on coming – you won’t want to miss it! What we have planned – 2 days of racing, breakfast, a great dinner, and a chance to win some raffle items from Dynamic Dollies and APS! 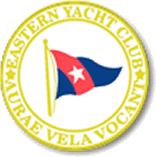 Fishing Bay Yacht Club is proud to the host the 2015 Laser Atlantic Coast Championship May 16-17! 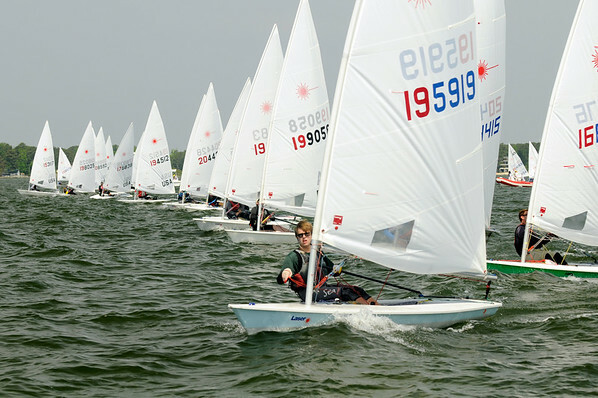 Laser Fleet 413 has a long history of hosting Laser Regattas including the 2000 US Laser Masters, 1987 Laser ACC, multiple Laser Masters ACC and we’re especially known for our now 34th annual Chesapeake Bay Laser Masters Championship. See the Notice of Race for further details and registration is now open. Wondering what a Laser regatta at FBYC is like? Watch this video on YouTube from last year’s Chesapeake Bay Laser Masters Championship. The 2012 Laser Atlantic Coast Championship will be held the weekend of May 19-20 with sailing on the beautiful waters of Massachusetts Bay off Eastern Yacht Club in Marblehead, Massachusetts – one of the finest racing venues on the East Coast! Registration is now open and available online via Regatta Network. Jon’s Video clips from the Atlantic Coast Championship at Carolina Yacht Club in Wrightsville Beach NC.